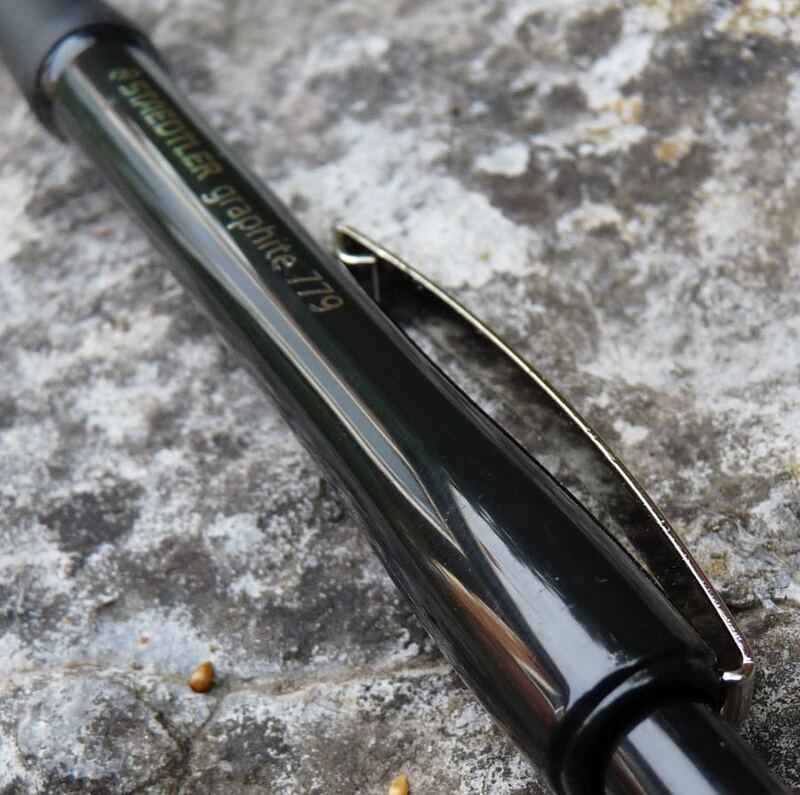 Staedtler Graphite 779 Mechanical Pencil Review – Pens! Paper! Pencils! Staedtler make some of my favourite drawing products. The Mars Technico 780c, the 925 25, the 308 Pigment Liner, Tradition and the Mars Lumograph pencil are all fantastic products and excellent value. Does the Graphite 779, a budget (about £4) mechanical pencil available in a few different colours (red, blue, black) and a couple of lead sizes (0.5mm or 0.7mm), continue this fine tradition of high quality for a good price? The pencil has a simple slightly contoured plastic barrel with a rubberised grip. It’s light and comfortable to hold. The clip is reasonable. It seems like it’ll take a bit of abuse before bending out of shape. Under the slightly ugly looking metal end cap is the eraser, which is as usual fairly small. 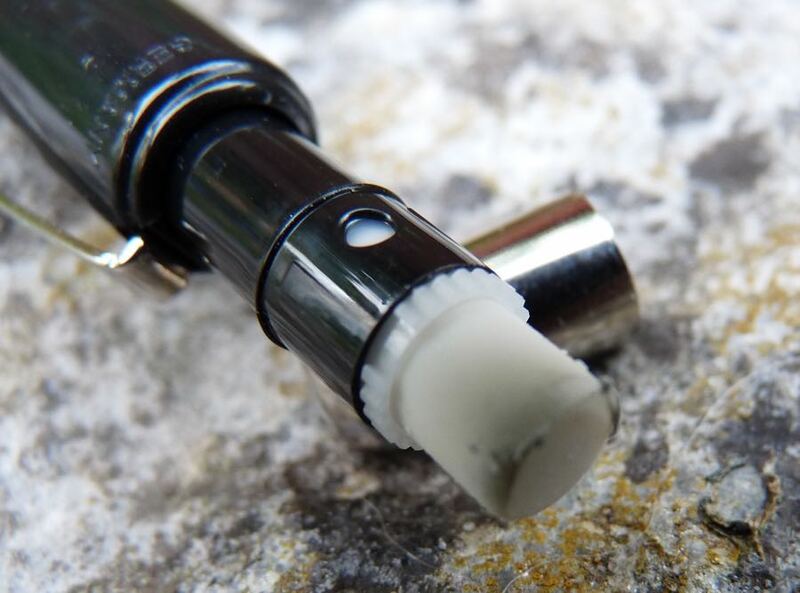 It works well enough, erasing the line without smearing. 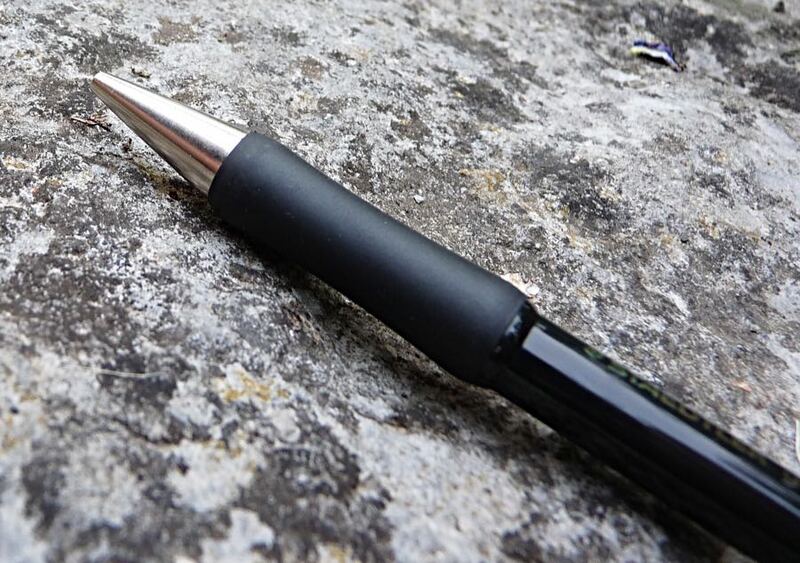 The conical metal tip is retractable and this is wear the problems start. The lead is held firmly but, and I’ve found this with other pencils with retractable tips, the first push of the button to deploy the lead also has to push out the tip and this means only a tiny amount of lead is deployed. A second push of the button means too much is sticking out and so it snaps off all the time. You have to choose between barely enough lead to use or too much. This is a common problem. I’ve not yet found a pencil with a retractable tip in this price range that doesn’t suffer from this. If you know of one, please let me know. As it is, you’ll have to decide if the utility of the retractable tip makes it worth the hassle of having to advance the lead so frequently. If you can live with a pointy tip then you’re much better off spending a couple of pounds more and getting a Pentel P200 series or a Kuru Toga. 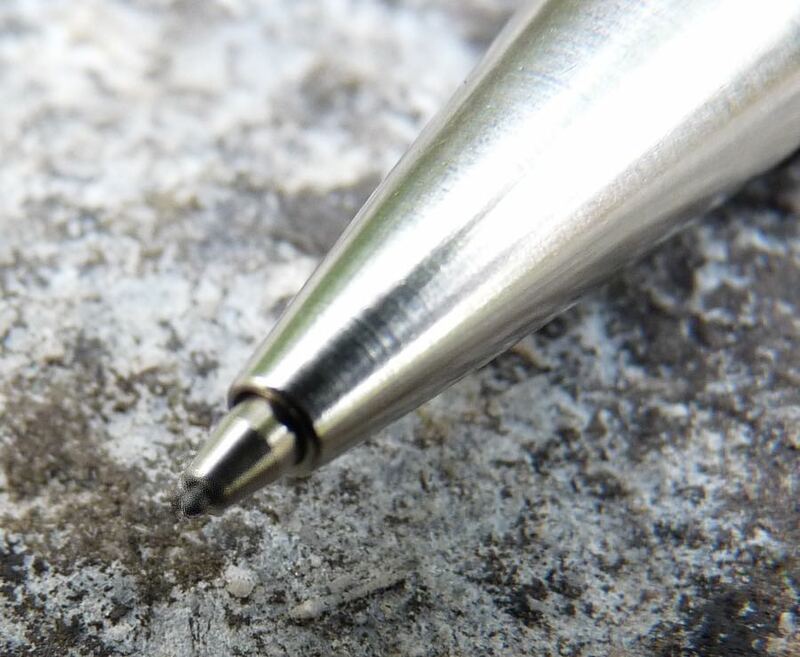 If you must have a retractable tip then maybe have a look at the Graphite 779 – but I only say that because all the alternatives have the same problem. This pencil was sent to my by Studio Alt for review purposes. However they no longer sell it. The views expressed here are my own independent thoughts.